This memorial website was created in memory of our loved one, Epifanio Obdulio Guerrero, 71, born on January 3, 1942 and passed away on May 23, 2013. Where Epifanio Obdulio Guerrero is buried? Locate the grave of Epifanio Obdulio Guerrero. How Epifanio Obdulio Guerrero died? 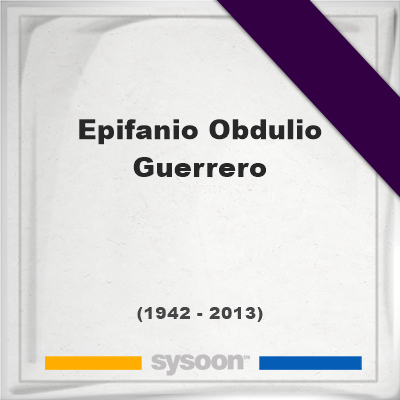 How to find family and friends of Epifanio Obdulio Guerrero? What can I do for Epifanio Obdulio Guerrero? Known under nickname Epy. 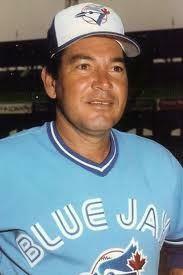 He was a professional baseball scout in the Dominican Republic who helped open Dominican baseball pipeline. During his professional career he recruited some of franchise’s greatest players, such as Tony Fernandez, George Bell and Carlos Delgado. Passed away on morning May 23, 2013 in the Dominican Republic at the age of 71. Note: Do you have a family photo of Epifanio Obdulio Guerrero? Consider uploading your photo of Epifanio Obdulio Guerrero so that your pictures are included in Epifanio Obdulio Guerrero's genealogy, family trees & family history records. Sysoon enables anyone to create a free online tribute for a much loved relative or friend who has passed away. Address and location of Epifanio Obdulio Guerrero which have been published. Click on the address to view a map. Epifanio Obdulio Guerrero was born in Santo Domingo, Dominican Republic. Epifanio Obdulio Guerrero died in Santo Domingo, Dominican Republic.